CARIBOU, Maine — P.J. Gorneault of Caribou and Gabby Wheeler of New Sweden claimed victories in the annual Caribou Labor Day 8K Road Race. This year’s event, held Monday, Sept. 3, included only 22 runners and six walkers. 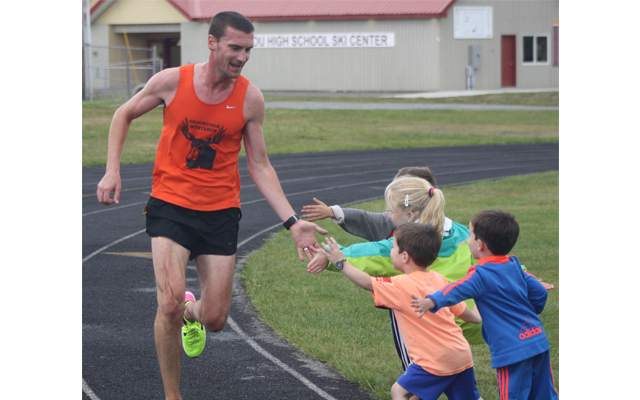 Held on a course that began and ended at the Caribou High School track, Gorneault captured the men’s and overall title with a time of 27 minutes and 36.7 seconds. He was 2:38 faster than runner-up Dylan Marrero of Caribou, who finished in 30:14.7. Wheeler was the fastest female, coming in at 30:55.2, good for third place in the overall standings. Trace Cyr of Presque Isle (34:47.4) was fourth and George H. Ferland of Madawaska Lake (36:13.3) fifth. Marie Beckum of Caribou placed sixth and was the female runner-up in 37:10.2. Kayley Bell of Caribou (38:24.8) ended up third for females and eighth overall. Craig Reece of Presque Isle was seventh (37:22.8), Dean Patten of Caribou ninth (38:43.9) and Jamie Bell of Caribou 10th (40:07.4) in the race standings. Nadine and Mike Plourde of Caribou were the fastest walkers. Nadine had a time of 42:22.9 and Mike clocked the course in 45:33.6. The race was part of the County Challenge Racing Series — an annual series sponsored by the Aroostook Musterds which kicked off in February.